Folsom is beautiful year round, but especially in spring. Flowers and trees blooming, sun shining, and the trails full of runners, walkers and cyclists, which reminds me; be nice to each other and share the trail. Slow down, and pick up after yourself and your dog...Spring also means it's time for the Folsom Eggstravaganza, where 25,000 eggs are hidden across 4 fields for 4 different age groups, and then wiped out in seconds. It's fun, and quite a spectacle.. Happens this Saturday 3/31... After that's over, you might need a beer. Head on over to the brand new Out of Bounds Craft Kitchen and Biergarten, opening Saturday at 13407 Folsom Blvd (they've got wine, too! )...Speaking of beer, Red Bus opened a couple of weeks ago. Check them out, too... PowerHouse Pub has some great live music this weekend, kicking off with Love and Theft on Friday... on the real estate front, the usual spring bounce hasn't really started, with only 69 homes for sale in Folsom today, compared to 96 at this time last year...fingers crossed...that's it for now...go have some fun! And rattlesnakes are already out. Stay safe. Chris Cain, Daniel Castro and Mile Schermere will be at Powerhouse Pub on Saturday. Steve Wall (of Beer Dawgs fame) will be at The Canyon on Saturday as well. Can't wait to check out Out of Bounds new digs! Just tried Marly and Moo. Don't know why I never got by there before. Service was EXCEPTIONAL (shout out to Molly), despite being packed full. I enjoyed the shortrib sandwich with tots and a beer. perfect for a sunny day. First, let’s talk about water. 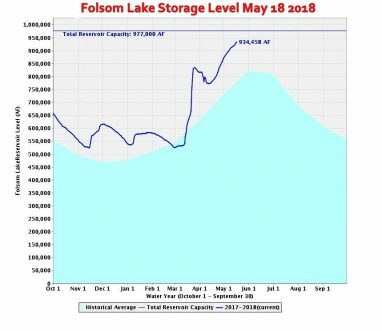 Folsom Lake is at 83% of capacity, and this week’s storm is expected to dump up to 7 inches of rain in the foothills, melting snow, and sending all of that water down hill. Lastly, I asked my wife for her 3 favorite cocktails in town, and in no particular order; Mama’s Bloody Mary at the Sutter Club, The Jalapeno Martini at Land Ocean, and a White Linen from Scarlet’s, where she gives a slight edge to the ones made by Jennafer. That’s it for now. Got something we should know about? Interesting stuff going on around town... I popped by the Folsom Community Center yesterday to join about 50 others in saying goodbye to Folsom Police Chief Cynthia Renaud. Among the crowd were some of her officers, some city workers, and regular citizens who wanted to show appreciation for her 7 years of service. 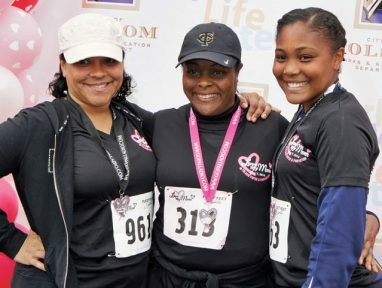 She's headed off to lead the Santa Monica Police Department. Good luck Chief, and be safe out there... This just in, Folsom City Manager Evert Palmer has named Commander Rick Hillman as our new police chief. Commander Hillman has been with Folsom PD since 1995. I first met him many years ago, when I worked on some parent education seminars on teen drug and alcohol abuse. Great guy. Long time resident. Nice to see them hiring from within. Congrats, Chief!... 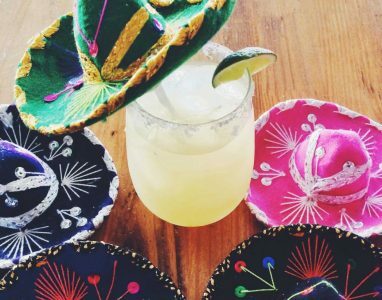 Arthur Murray Dance Center invites you to a free celebration of 3rd anniversary here in Folsom, promising mucho margaritas, nachos, and of course dancing... The Folsom Historic District is holding their annual Spring Arts and Crafts Fair on Sunday... Also, the immensely popular new Out of Bounds Brewing Co is having a grand opening celebration all weekend long. Check it out... That ought to keep you busy. And next weekend, April 28 and 29 is the Folsom Garden Club garden tour! And the following Saturday, May 5, 10 am to 2 pm is the Italy on Wheels Italian car and bike show at the Murer House (bring your scooters and bikes and cars, etc.) and also the Folsom Police Foundation community BBQ at Folsom City Park! Monks Cellar of Rocklin will be pouring craft beers at Italy on Wheels, Vanelli's Coffee will be serving espresso drinks and Dominic's of Folsom will be serving pizza by the slice! Hey Folks, Heard Around Folsom's got some tips for a great weekend... 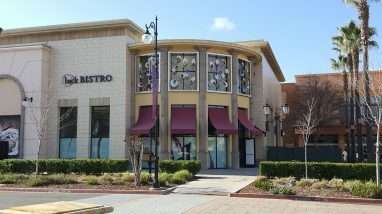 The Back Bistro is now open in their new location at the Palladio Center. Congrats to Jeff and Gail Back for successfully serving outstanding food, wine, cocktails and company for 10 years! They're next door to the movie theater, making it great for a dinner-and-a-movie date. Late night happy hour, too... Wanna see some spectacular gardens and get some great tips? The annual Folsom Garden Tour is happening Saturday and Sunday. Tickets are reasonably priced, and they will have plants for sale along with master gardeners on hand to tell you how to not kill them, and of course, their famous bake sale as well... For something completely different, visit one of Folsom's best kept secrets, the Sutter Street Theater . This little theater company puts on outstanding plays and musicals. Right now, through Sunday, you can check out Murder on the Nile... In the news, City Manager Evert Palmer has announced his retirement, after working for the city for over 22 years. He's a great guy, and has helped guide Folsom's growth into the the beautiful little city you know and love today. He's a big supporter of the arts, and from what I hear, a pretty good guitarist. Best to you, Evert!... On the real estate front, housing inventory has increased slightly, with 103 homes for sale in Folsom, plus 5 condos. Not enough to meet the demand, but we should see more folks listing now that the weather is better and the traditional buying season is starting... Speaking of better weather, Folsom looks great on sunny spring days, and if you get a chance, take a walk, bike, jog, kayak or paddle board along Folsom Lake or Lake Natoma. Trees are full, lots of wildflowers and wildlife... Go out and enjoy! Well folks, it's Cinco de Mayo weekend, and the margaritas will be flowing. Lots of parties to choose from. Hacienda del Rio's got live bands from 5 to 10p in their parking lot... Powerhouse Pub's got Inspector 71 playing, with dj at Scarlet's... Cantina Alley in Sac has a party goin' on from 3 to midnight. Live bands... There's Cinco de Old Sacto in Old Sacto, of course... and The Union in Roseville has a big one going on as well. Whereever you go, bring a designated driver or catch a Lyft. You don't want to spend the rest of the night with the cops... Speaking of cops, you can meet up with them on friendlier terms at Folsom Police Foundation's 'Meat and Greet' barbecue. Meet Folsom's finest, have a burger or a dog, check out some cool equipment, and your $10 donation goes to the Foundation's youth programs... Also happening on the 5th is the Historic Murer House Foundation's annual Italy on Wheels, featuring classic Italian cars and bikes, with pizza and Italian beer, too!... Work it all off Sunday at the 8th annual Great Scott Bike and Walk event. Scott Road and the surrounding area will be closed from 8am to 3pm. Enjoy 30 miles of country roads on bike or on foot... Just another beautiful Folsom weekend. Be safe, and have a great one. Have you seen or heard? Folsom Lake is 96% full, which is 120% of the average for this time of year. The lake level usually peaks about June 1, and the dam operators draw down from there, usually bottoming around December 1. I don't know if this means a nice long boating season, as we still need steady water flowing down from the Sierras. We'll see about that, but for now, just beautiful... It's time once again for the Folsom Rotary Club's annual Wine and Dine. Happening Sunday, you'll get the chance to try wine and beers from the around the region, as well as tasty treats from local restaurants, proceeds go toward a great cause, and it's only forty bucks! Tickets here ... Red's Blues plays Sunday at 3pm at Powerhouse Pub. What? You didn't know they had live blues at powerhouse every Sunday? It's true! Bring your axe and stick around for the blues jam session at 7pm.... As for me, I've got my grandson in town. I think we'll head out to the Folsom Zoo Sanctuary to see the local critters, maybe a train ride, and a visit to Snook's ... Go out and make it a great one! It’s been a while since I’ve done a ‘Heard Around Folsom’. Let’s not waste time. Here are some random and cool events coming up in and around Folsom… Cars and Coffee returns to Palladio for their weekly car show. See everything from Model A’s to muscle cars, from 8 to 10 every Saturday… Visconti’s Restaurant is going to be honored as Folsom’s Family Business of the Year at the Folsom Chamber of Commerce‘s annual awards luncheon. Visconti’s is the place where everyone is treated like family, and the food is great. Come celebrate and honor our community leaders at this annual event… The current exhibit at 48 Natoma, Folsom’s public art gallery, is called ‘3 Women Photographers’. See the unique perspectives of these three, featuring their best wildlife and nature shots. Perhaps stealing the show, the community gallery will feature artwork created by the animals of the Folsom Zoo Sanctuary. The public is invited to celebrate both exhibits at the free opening reception on Friday, March 29, 2019 from 6:00 to 8:00, with refreshments, wine and live guitar music by Gabe Becker. As an added treat, we also anticipate that several smaller animal artists from the zoo (perhaps the Funk the skunk and Boss Hog the hedgehog) will be present at the reception for visitors to meet and watch them in-action painting during the reception. The painting will then be available for purchase!.. Got the need for speed? Head over to the Prairie City SVRA March 22 and 23, for the Metalcloak Ultra 4 Stampede. Over 100 drivers are expected to compete over a 2 mile lap course, completely visible to spectators, filled with rock obstacles, tight turns and go-fast sections. This is a great, family-friendly spectator event. If you’ve ever wanted to see ULTRA4 racing in person, you won’t want to miss this unique event!.. for something a bit mellower (earlier in the day anyway) Sip into Springon the Placer Wine Trail. On March 23 and 24, your ticket gets you a souvenir glass, and complimentary food and wine tastings at participating wineries on the trail… That’s it for now. That ought to keep you busy. Look for my podcast in the near future. Have a topic, tip or event we should know about? Drop me a line.